The LG Viewty Snap GM360 isn't badly made, nor is its software dreadful. But similarly priced Android-toting handsets offer far more features for a similar price. LG's crop of lower priced handsets is plentiful and each has its own little pinch of LG-style stardust to make it seem a bit different from the others. The LG Viewty Snap GM360, for example, is available from as little as £80 on pay as you go and free on £10-a-month contacts. It boasts 5MP Schneider-Kreuznach optics and something LG calls an 'Optic-all' zoom as its standout features. Don't get too excited, though – the latter's not an optical zoom. We'll come back to that in more depth later. Still, however it's dressed up, you can't really expect top-notch results from an £80 phone. So the question here is whether you're getting a good quality handset for your money, or if you'd be better off opting for a low-priced smartphone, such as the Alcatel OT-980, instead? Certainly with neither Wi-Fi nor 3G onboard, the LG Viewty Snap GM360 will have to work quite hard to earn our favour. 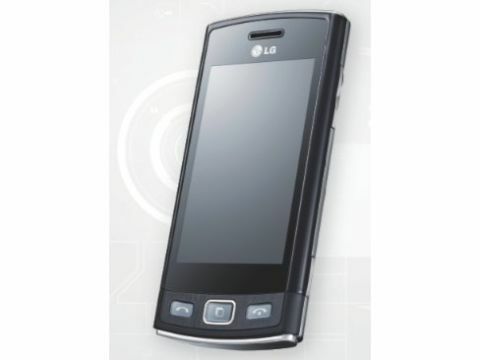 In form, the LG Viewty Snap GM360 is a fairly small phone. At 108 x 53 x 12mm it should fit neatly into most pockets. Yet it still manages to pack in a 3-inch screen, with 400 x 240 pixels on offer, that's touch sensitive. It's fairly good in terms of viewability, but the screen is a tad small for some media-rich activities. There's a trio of buttons under the screen, two of which offer Call and End functions, while the neat centre button opens up a tabbed shortcuts area to running and favourite apps. The End button doubles up as a back button as well, so you can quickly leave the app you're using and get back to the home screen. Build quality is reasonable for a phone at this price too. There's even some fake brushed metal on the button area at the bottom of the front fascia. The long edges are well detailed, with a thin silver strip against the black plastic that forms the bulk of the chassis. The right-hand edge of the handset houses thin volume rockers and a camera shortcut on this strip, while the left-hand edge has a micro USB charger sitting under a hinged cover. On the bottom, there's a thicker silver trim and no connectors, while the top edge houses the on/off button and a 3.5mm headset connector.